Gospel singer Linet Munyali alias Size 8 is counting more blessings after landing yet another plum job. 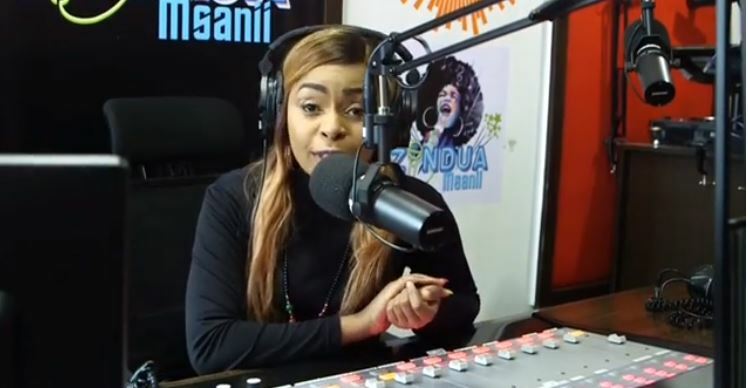 Just months after she officially became a TV personality as host of gospel show Pambio Live on Maisha Magic East, Size 8 is now days away from making her debut on radio. She is the presenter of a new gospel show dubbed Kvibes916 on local radio station Kubamba Radio. Taking to social media to break the great news, an excited Size 8 said her big radio debut is scheduled for Friday, 18th. She will be hosting the show every other Friday from 10 am to 1 pm. Size 8 also posted a promo trailer that got her fans excited about her latest Christ ambassador gig in a long list of achievements since making the shock switch from secular to gospel. When they said there are more opportunities(read more money) in the gospel industry, they were right. Size 8 is flourishing and so is her husband -Dj Mo- and their adorable daughter, Ladasha. From the clip, she looks like a natural and it appears it won’ take long before she gets the full hang of it.